Jesus’ Work: Where Is God? This week we continue our sermon series on “How to Be a Christian in 7 Easy Steps.” Over the course of these remaining weeks, we will explore the core of our faith in what I hope will be an empowering, uplifting, and inclusive way of looking at our Christian theology. As a congregation that is both theologically and socially progressive, this will be an exploration that seeks to broaden our understanding of God’s unending love rather than restricting our ideology to a select few. One of the things I love about The United Methodist Church is our “connectional” nature. We understand that we are not on this faith journey alone, and we do all we can in collaboration and cooperation while still leaving room for a diversity of backgrounds and ideations. A colleague of mine once described The United Methodist Church as the largest multi-site church in the world. I like it! We can do more together than we can when we are alone, and I believe this highlights a significant way that we can observe and understand God’s powerful presence and work in this world. 2The Word was with God in the beginning. and the darkness doesn’t extinguish the light. 6A man named John was sent from God. 7He came as a witness to testify concerning the light, so that through him everyone would believe in the light. 8He himself wasn’t the light, but his mission was to testify concerning the light. was coming into the world. but the world didn’t recognize the light. and his own people didn’t welcome him. 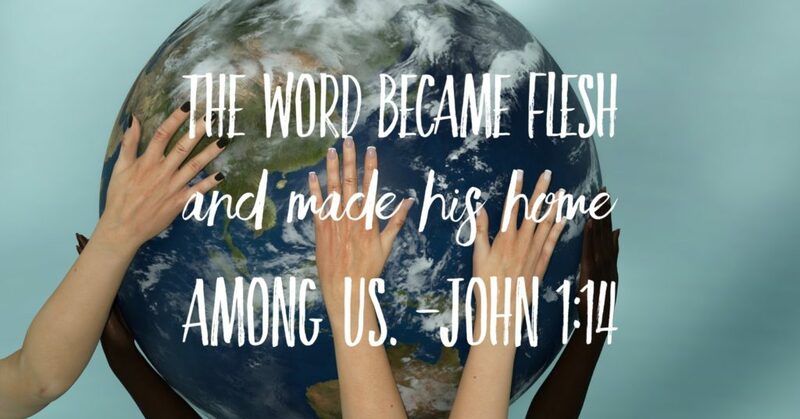 and made his home among us. Have you ever seen God’s work happening before your eyes? In your experience, how does God most often work in the world? Have you ever known God to work through you? What was it like? If you were able to be present in worship this past Sunday, you were able to experience our message in musical form. Sadly, a technical failure prevents us from sharing the sermon audio this week. A walk-through of the message is available here. After hearing this musical message or reading through the walk-through, how can you be more open to God’s work in different ways? How can you be open to God’s voice in different ways? How can you be open to God’s inspiration in different ways? How can you receive and rely on God’s strength to work beyond your own means?